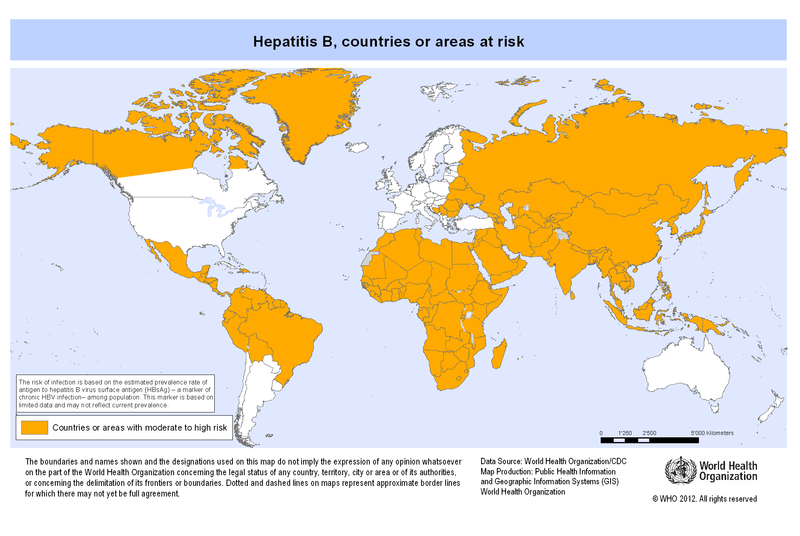 What is Hepatitis B or "Hep B"? Hepatitis B is a disease caused by HBV hepatitis B virus which infects the liver of hominoidae, including humans, and causes an inflammation called hepatitis. Originally known as "serum hepatitis", the disease has caused epidemics in parts of Asia and Africa, and it is endemic in China. About a third of the world's population, more than 2 billion people, have been infected with the hepatitis B virus. This includes 350 million chronic carriers of the virus. Transmission of hepatitis B virus results from exposure to infectious blood or body fluids containing blood. The acute illness causes liver inflammation, vomiting, jaundice and—rarely—death. Chronic hepatitis B may eventually cause liver cirrhosis and liver cancer—a fatal disease with very poor response to current chemotherapy. The infection is preventable by vaccination. Hepatitis B virus is an hepadnavirus—hepa from hepatotrophic and dna because it is a DNA virus—and it has a circular genome composed of partially double-stranded DNA. The viruses replicate through an RNA intermediate form by reverse transcription, and in this respect they are similar to retroviruses. Although replication takes place in the liver, the virus spreads to the blood where virus-specific proteins and their corresponding antibodies are found in infected people. Blood tests for these proteins and antibodies are used to diagnose the infection.